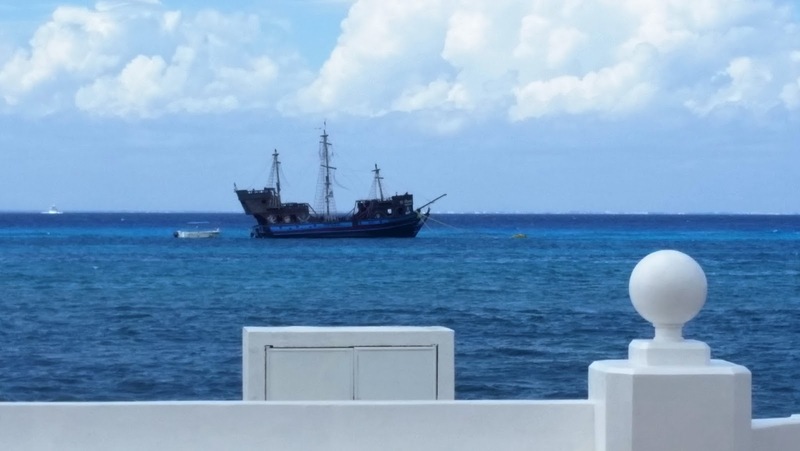 During the last leg of our 2016 Flower Power Cruise, we docked in Cozumel, an island in the Caribbean off the eastern coast of Mexico's Yucatan Peninsula. To make the most of the few hours available, we purchased "The Best of Cozumel" tour package from the cruise line and hit the ground running. Duty-free shops offering liquor, jewelry and souvenirs were directly located at the end of the pier and we took a few minutes to browse among the many selections before climbing aboard a van that whisked us away to our first stop, "Discover Mexico." 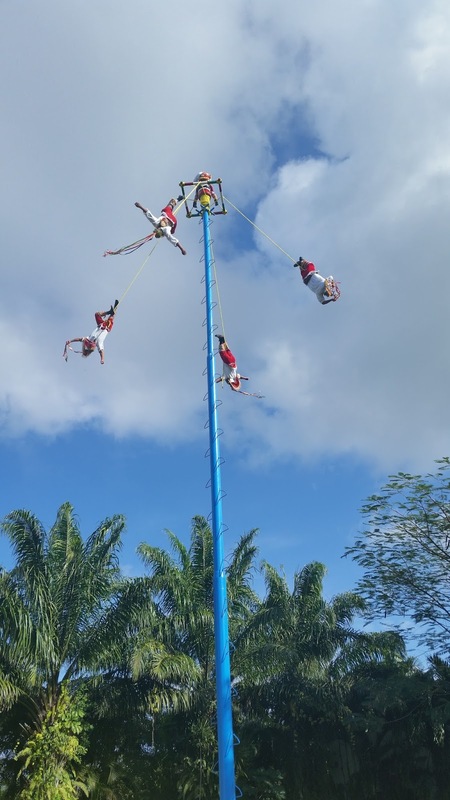 A visit to "Discover Mexico" starts with a short film portraying the Mexican people, their culture, crafts and countryside. Afterwards, visitors stroll through a small arts and crafts museum. 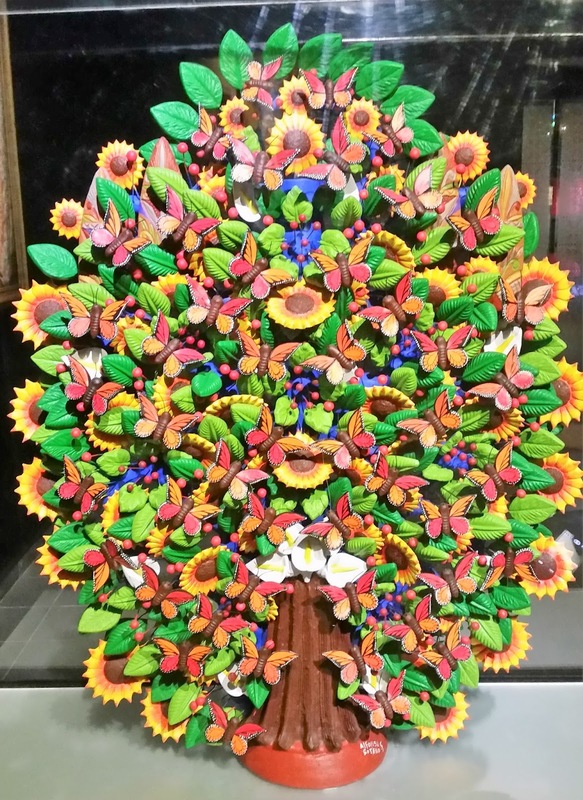 This particular sculpture is known as a "Tree of Life." 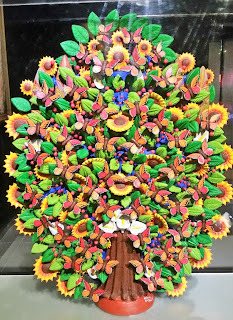 Such modeled clay sculptures originated in the colonial period as a way for Spanish friars to teach the biblical story of creation to the native population. They later included non-biblical representations. 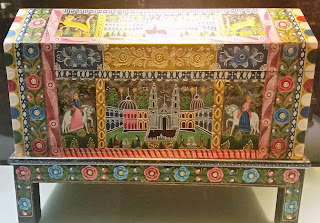 This one is covered in Monarch butterflies, which are known for their annual winter migration to a remote spot in Mexico. 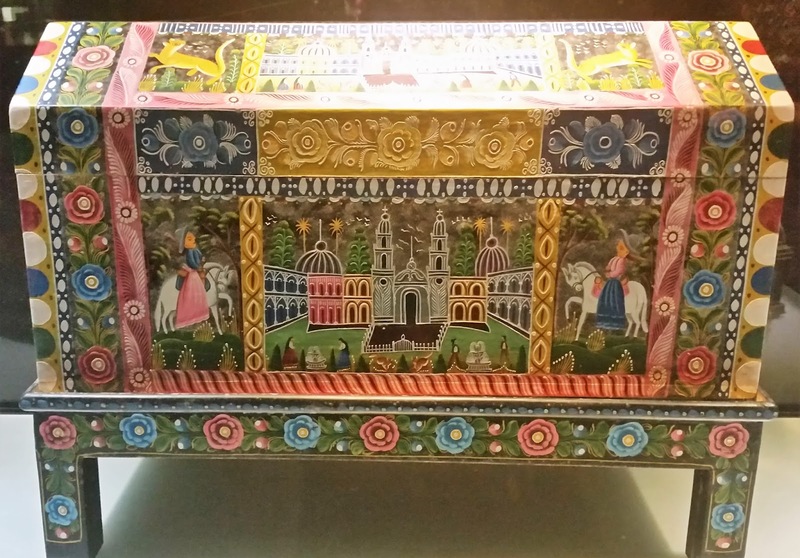 Seen here is sand art titled "Our Lady of Guadalupe" and an attractive folk art trunk. As we made our way outside to the park and walked the grounds, we encountered miniature representations of various Mexican landmarks, like the Great Pyramid of Cholula. Located four miles west of Puebla, it is the largest man-made structure in the world by volume. Dating back to 300 BC, the structure was built in six stages, with the Oto-Manguean as the original architects. 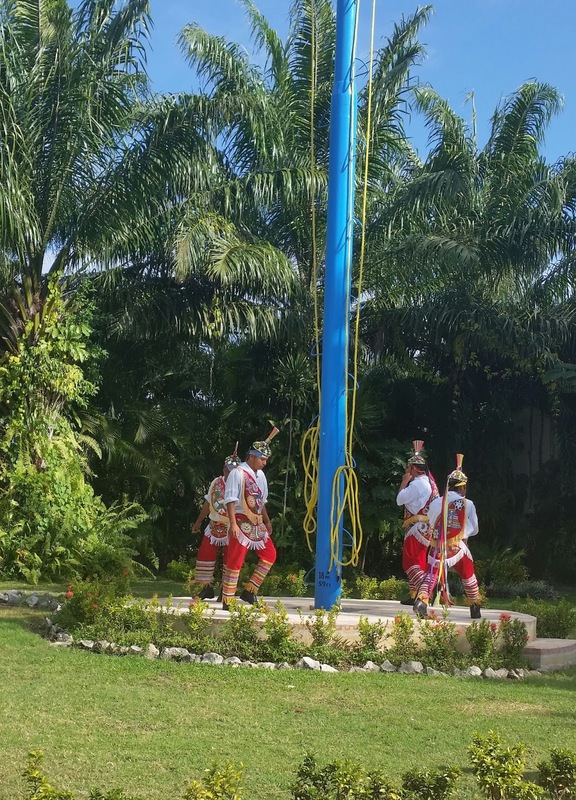 In 600 AD, the Oto-Manguean were conquered by the Olmeca-Xicallana, who added another layer to the pyramid. 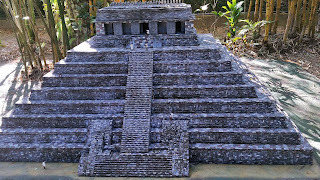 Between 900 and 1300 AD, they, too, were conquered and the Toltecs added more layers. Finally, when the Aztecs conquered the city, the inhabitants fled and it fell into ruin. When archaeologists tunneled into the the pyramid, they discovered the remains of 400 sacrificial victims, many of whom were children of both sexes. Another miniature site included Palenque's Temple of the Inscriptions. 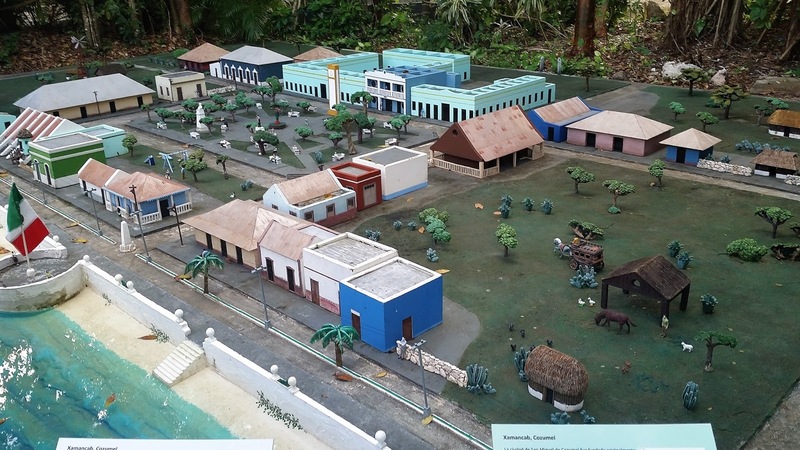 Founded around 2,200 years ago, the pre-Columbian city of Palenque is located in the Mexican state of Chiapas. 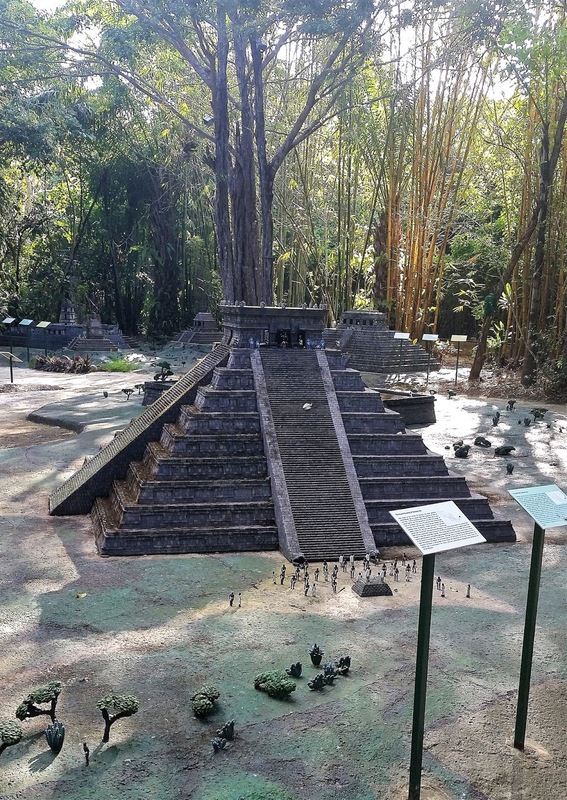 The Temple of the Inscriptions was built as a tomb for K'inich Janaab' who was known as one of the city's great leaders. 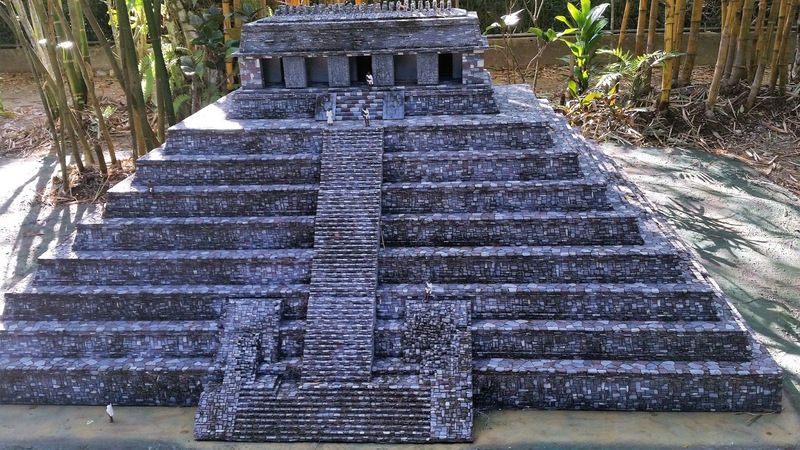 It is said to be decorated with some of the most detailed inscriptions in Mayan glyphs ever discovered, giving an account of rulers and their accomplishments. 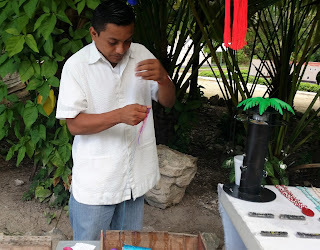 This gentleman was making customized bracelets with thread in record time at the park. The "Discover Mexico" park tour finale. 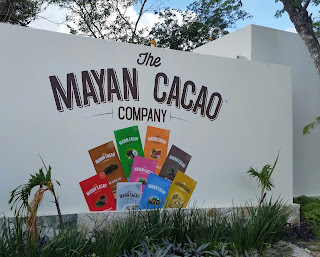 At the Mayan Cacao Company we learned a little more about the history of chocolate and its roots in the Mayan culture. 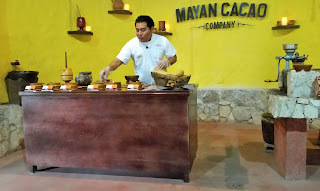 Afterwards, we participated in a chocolate tasting and were served an authentic mole on a tortilla crafted onsite. 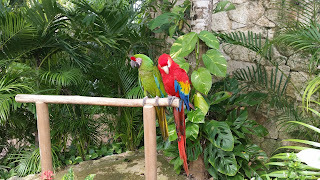 My husband, meanwhile, sneaked off to snap pictures of birds he discovered on the property. 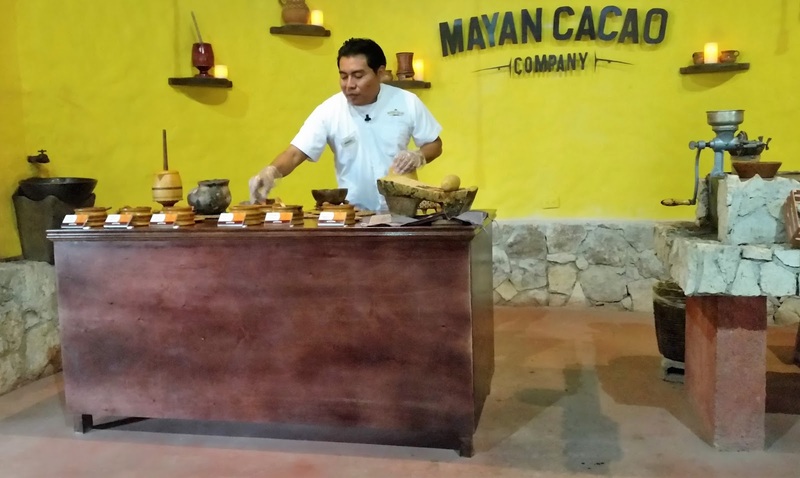 The Mayan Cacao Company offers tastings, demonstrations and products at their gift shop. Birds cozy up on the premises of the Mayan Cacao Company. Next, we were off to what was once the capital of Cozumel. 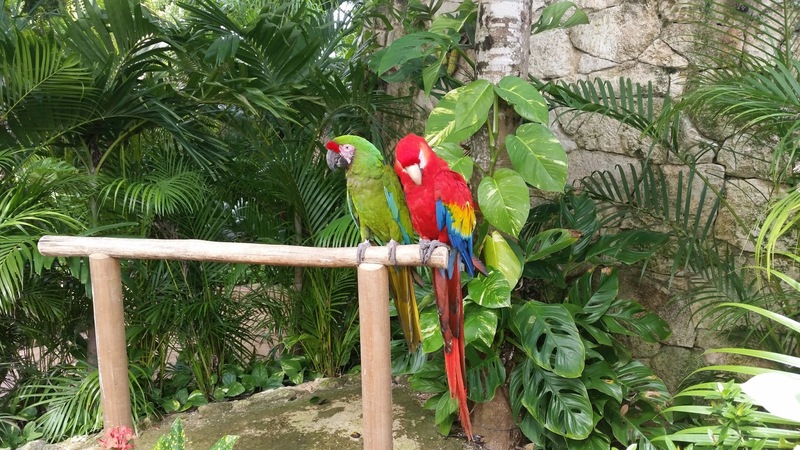 El Cidral is a small village and is home to the oldest Mayan Ruins on the island, dating back to 800 AD. 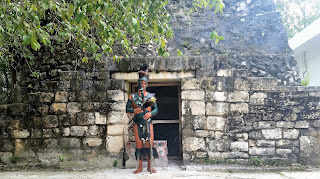 Here a warrior guards the ruins and tourists pay for pictures. 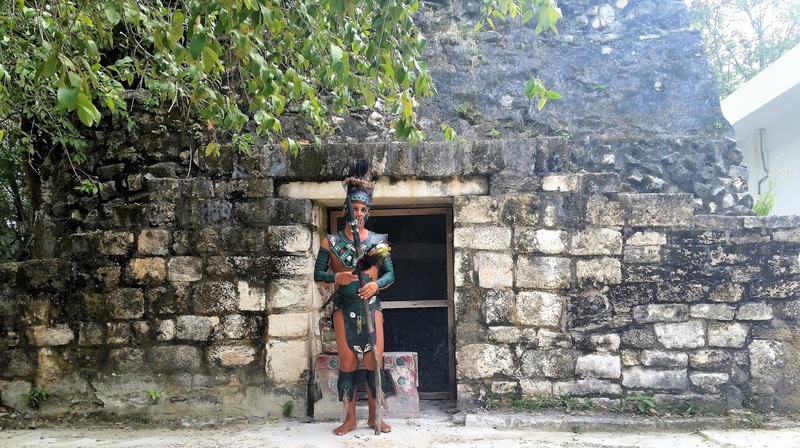 "Mayan Warrior" guards the ruins. 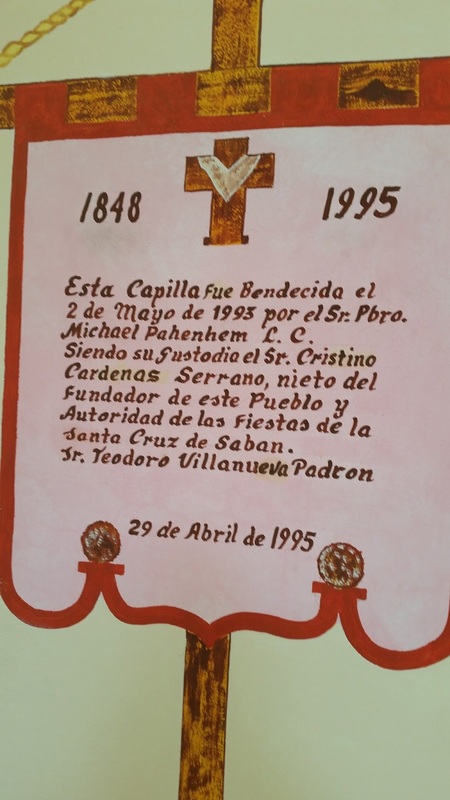 During our time in El Cidral, we browsed some of the souvenir shops and I purchased a pair of silver earrings for a very reasonable price, but of course bartering is de rigueur in El Cidral and the shopkeeper accepted my first offer. 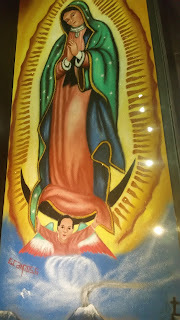 Afterwards, she followed me around urging me to buy more before hustling me over to her brother's tequila shop. I learned later that a few people have had issues with some heavy handedness of some of the merchants and that it's better to visit El Cidral as part of a tour group than trying to "wing" it on your own. We escaped to join our scheduled tequila tasting at the Hacienda Tequila Museum just a few doors down. 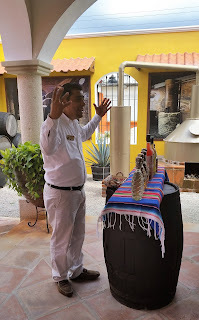 There we learned a little about the history of tequila and gathered around to try five different types of the beverage made from the blue agave plant. I am not a fan of tequila, but I enjoyed all of the samples--go figure. Perhaps it was the setting and the fact that I was on vacation. I left before any of the salespeople spotted me and learned later the prices on the tequila were quite high. 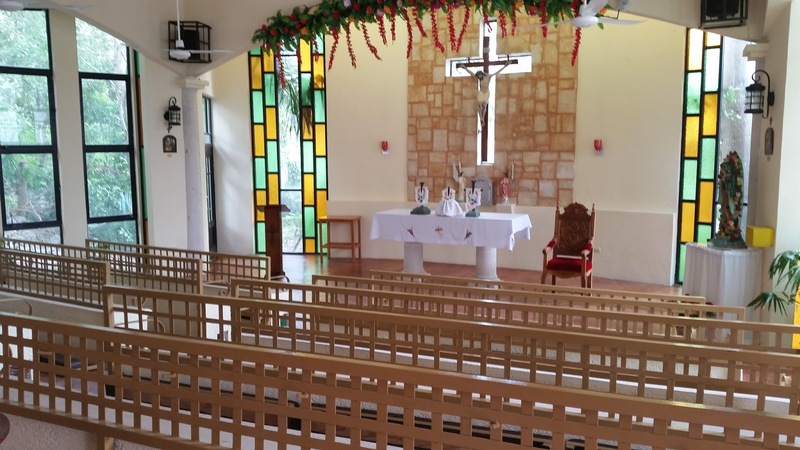 Before we boarded the van to our next stop on the island, we stepped inside the first Catholic church built on Cozumel. Located up on a hill near the small ruins, the chapel is open for visitors and we had the place to ourselves as we strolled around taking pictures. 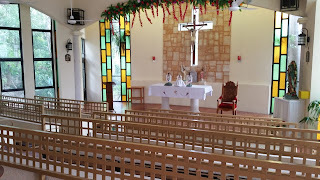 Inside the first Catholic Church erected in Cozumel. Our tour van traveled along the eastern shore of the island for a brief stop at the beautiful El Mirador beach where we had just enough time to snap a few scenes and spot a bride posing for wedding pictures. After strolling the beach for 15 minutes, it was time to head to our next destination. 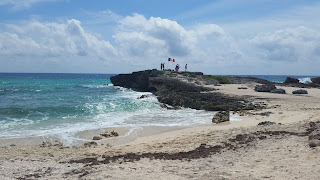 My heart-rock-collecting friend asked me to find her one for her collection while visiting Cozumel, so we had to scour the beach in record time. I didn't think I did too bad with this one. Our final tour stop was San Miguel, where we enjoyed lunch at Pancho's Backyard , an attractively appointed restaurant where we snacked on a sampler platter of typical Mexican fare. 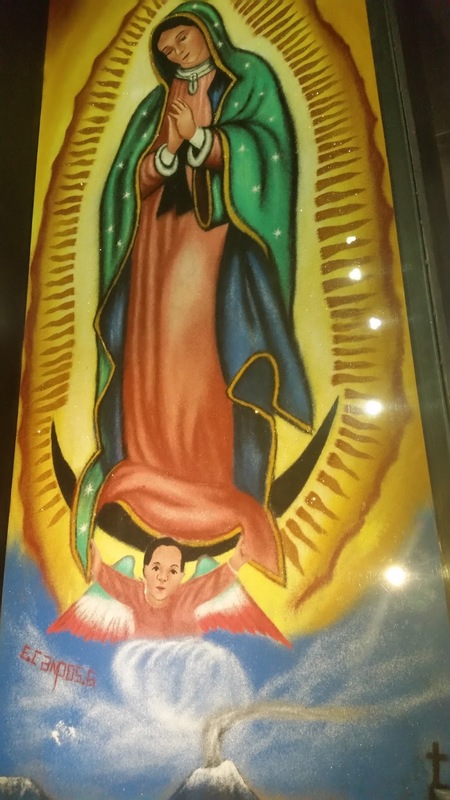 Afterward, we browsed the large gift shop located in the front of the restaurant and stocked with a wide variety of Mexican products. A picture taken from our seat through the windows of Pancho's Backyard. On the way back to the ship, I viewed San Miguel from the windows of the van and wished they would have allowed us more time to walk the streets, stroll along the wide sidewalks next to the seawall, or peer inside the shops and galleries, but the clock was ticking and the ship was waiting. Perhaps another time. Although it was a whirlwind tour, it was a lot of fun and I felt like now we have a good sense of where we should spend more time should we decide to return. Fantastic post.Thanks For share this post with us.The Kabbalah lucky eye bracelet is formed of the kabbalah red string and alittle lucky charm that resembles the form of a heart. string bracelet These accessories ar obtainable in numerous styles and costs. And there ar another sensible matter.